Current National Triathlon Champion Graham Borg, who won first national title in October has joined Mosta Triathlon Team’s ranks. Despite only being fully affiliated with the Malta Triathlon Federation since 2014, the Club hails from a strong cycling background having been founded as a cycling club in 1953. Nevertheless, Club triathletes have performed well earning the Club a number of podiums in national events. Borg has had a very successful season – top five placing in the Triathlete of the Year scheme, winner of the Birkirkara St. Joseph Sports Club Triathlon Series, National Sprint Champion and Triathlon Champion. On an itnernational level Borg won a Gold Medal in his Age Group at the Vattenfal International Triathlon in Stockholm as well as securing a qualifiction for the 2018 Ironman 70.3 World Championships following his second placing in the tough Ironman 70.3 race in Turkey. “We are pleased to welcome Graham Borg to our fold. His performance on the local and international scene this year has been outstanding – his race CV this year has proven how versatile he is, capable of achieving excellent results in the various distances that triathlon offers athletes” explained Edward Enriquez, Mosta Triathlon Club Secretary. “With his capabilities and dedication we are confident that he will continue make our Club proud in 2018” Borg is now focusing on his plans for next year, which include a number of Ironman 70.3 and Ironman distances with a focus on attempting qualification for Ironman World Championships in Kona, Hawaii. “I am looking forward to the coming season. I have been very much welcomed by this Club and I am proud to be wearing their colours for the forthcoming season” enthused Borg. A mass start race on the Zebbug Bypass organised by Mosta AF Sign Studio Cycling Club and held under the auspices of the Malta Cycling Federation. The race attracted a good number of participants, spread across all eight categories In the Under 12's categories, eleven athletes undertook one lap (4.5km) of the course. Miguel Galea (Team Greens) crossed the line first in the boy’s category whilst Jaeken Galea (Mosta CC) came in second followed by team mate Jonas Micallef, Mosta’s academy youngest promising athlete. In the girls category Justine Degiorgio crossed the line first (winning also the overall) followed by Hannah Dandria and Valentina Soler all Mcc athletes. The Under 15’s Boys podium was dominated by the Mosta club’s athletes after having completed three laps (13.5km) of the course. Sean Enriquez emerged the winner following an extremely close finish with Nikol Micallef. Malcolm Vassallo came in third place. In the Masters 40+ category Ivan Zammit (B’Kara SJ) clinched an uncontested first place. A sprint finish for second place was won by Domenic Cutajar (Gozo Cycling Club) followed by Matthew Mirabelli (Mosta CC) in third. In the Masters 60+ category it was an uncontested solo ride for Emanuel Camilleri (but finished the 10 laps with the masters 50+) who completed the 10 lap course in a respectable time of 1:12'18, whilst in the Masters 50+ Nicky Farrugia (Mosta CC) took first place followed Michael Lia (Mosta CC) in second place, Steve Mifsud (The Cyclist) Place third. In the Ladies’ Category a first ever victory in this category for Mosta CC, Marion Pullicino topped the charts followed by Margaret Seguna (The Cyclist) and Michelle Vella Wood (Team Greens) came in third position. An accident midway through the race saw Marie Claire and Stephanie Alden retiring. In the juniors category, Nicholas Attard Montaldo (The Cyclist) continued to show his strength by edging away from his Team mate Isaac Spiteri, Gianluca Camilleri (B’Kara SJ) came in third place. A very strong pace made for a very exciting race from the very start of the 22 lap, 99 Km Elite course. With cyclists vying for an early breakaway in order to anticipate the group and avoid a sprint finish, it was however a midway attack from Mark Micallef (The Cyclist) & Michael Camilleri (Team Greens) who tried a breakaway together with Nicholas Micallef (Mosta CC) but eventually were caught up by the fast moving peloton, other various attacks were thwarted by a very attentive pack of Mosta cyclists who counteracted well for attacks. Mosta AF Sign Studio’s Pierre Borg emerge victorious with tremendous help from his team mates for the second year in a row to a photo finish with Christian Formosa (The Cyclist) followed by Steve Sciberras (B’Kara SJ) to the finish line and completing the 99 Km course in a time of 2hrs 31mins. Mosta AF Sign Studio Cycling Club Committee is grateful to all participants, coaches, marshals, race officials, ARRTS time keepers, Żebbuġ Local Council, Malta Cycling Federation, Qormi Police Station, Malta Traffic Police, Transport Malta and the Global Security Malta who provided medical services. Our club next participation is at the Tour of Cyprus for a three stage tour between the 24th & 26th March. Patrick Scicluna, Gerrard Said & Nicholas Micallef will accompany the National Cycling Team including Marion Pullicino who forms part of the Ladies National Team. We wish all athletes the best of luck. After recently extending its logistical support to this year's ongoing edition of the Alive2016 Cycling Challenge, Express Trailers today announced a three-year support commitment with three of the most successful athletics clubs in Malta namely Zurrieq Wolves Athletic Club, Mellieha Athletic Club and Mosta Cycling Club. The announcement was made during a press event during which the three 3-year sponsorships were presented to representatives of the respective three clubs. Our company's operations are mainly based on road transport. We have a network of operations across all of mainland Europe but the start and finish of each delivery happens on Malta's roads. Therefore, although we are doing a necessary job of transporting food, pharma and cargo for the ultimate benefit and consumption of the local market, we also acknowledge that our fleet of trucks and trailers put a burden on all the other road users, especially the more vulnerable ones such as runners and cyclists. Our sponsorship towards these Clubs, whose competitions take place on our roads, seeks to redress the balance, said Franco Azzopardi, Chairman and CEO of Express Trailers during the presentation. Referring to the choice of clubs, Franco Azzopardi said we have already had the pleasure to collaborate and support a number of events organised by Zurrieq Wolves Athletic Club, Mellieha Athletic Club and Mosta Cycling Club and this was an opportunity for us to confirm that these three clubs are amongst the most committed clubs in Malta. 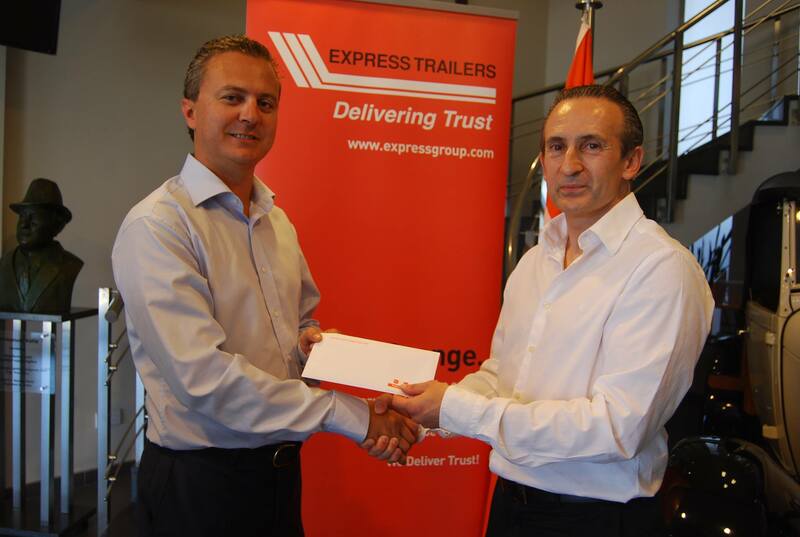 This is what spurred Express Trailers to formalise a new three-year sponsorship agreement with each of them. I have always believed in the importance of sport as a holistic way of self-development. I myself come from a very strong sport background. It is therefore natural that I encourage our own people to practice sport and we do have a number of employees who are successful members of some of these clubs. Besides supporting our employees involvement in sport however, we also look at these sponsorships as a way to encourage more employees to take up sport. We do in fact make arrangements for them to participate in these clubs respective events and today as a result, more of our employees have taken up an active lifestyle, added Franco Azzopardi. Clifton Caruana from Zurrieq Wolves Athletic Club explained how Express Trailers sponsorship to Zurrieq Wolves Athletic Club covers the annual organisation of the Express Trailers Zurrieq Half Marathon, 10km Run and 10km Walk every November. Up to four years ago, our event held annually in November used to attract just about 130 athletes. When Express Trailers decided to start its supporting collaboration with our Club, our main aim was to see this event grow. In the three years that followed, Express Trailers support attracted further interest in the event to the extent that this is now being organised by the organisers of the Malta Marathon. All this boosted our events and last year's 18th Edition attracted over 1000 athletes a milestone which is a source of great pride and satisfaction for us, said Clifton Caruana. Ivan Cassar, Mellieha Athletics Club Secretary thanked Express Trailers for the sponsorship and noted how the Mellieħa Athletics Club is the leading club in Malta when it comes to road running in Malta given the number of top-ranking athletes from our club, and also through the good number of club members participating in any local road race. This sponsorship which coincides with our Clubs 25th Anniversary celebrations, will assist us in our ongoing investment to the nursery division which this year also marks its 5th anniversary, the upgrade of running events and equipment, particularly the Duathlon which has been sponsored for the first time by Express Trailers and improve training programmes for our current and new members. Thanking Express Trailers for their sponsorship, Edward Enriquez, Club Secretary of the Mosta Cycling Club noted how Mosta Cycling Club is the Oldest club in Malta formed in 1953 and how in 2015, it started its affiliation with the Malta Triathlon Federation. We are also delighted that Express Trailers chose to support us through their door-to-door delivery brand ShipLowCost.com. This brand will be our main sponsor for the Club's Triathlon Section. In fact the sponsorship will not only finance the design and purchase of our Triathlon Suits, but will also help us organise our forthcoming triathlons races. Besides financial support for the club's respective events, Express Trailers also commits its logistical support not only through promotional help but also with the supply of a vehicle to be utilised as the lead car during the races as well as lending of other vehicles such as trucks, trailers and vans to assist the organisers in their final setup. On behalf of the club committee I take this opportunity to thank all participating athletes ,helpers and sponsors especially Paul Magri for his assistance in mechanical emergencies. Wayne Spiteri in the Elite Category came in 2nd place in the opening Time Trial Stage finishing the tour fifth overall. Drama folded for Wayne on the final stage when he fell off the bike at the turn near the roundabout but managed to catch up with the group and finish the race with mechanical problems. Wayne finished the tour 2nd best Maltese athlete. Fabio Spiteri also had a podium finish (2nd place) in Gozo, Stage Three and held on to fourth overall in the Masters Category, had he not punctured on stage two I am sure he would have placed better. Fabio finished the tour as the best Maltese athlete in the Masters Category. As you all know cycling is not an individual sport and all other athletes put all they had to protect our leading cyclists, for this I thank you all. I must also mention our young athlete Kurt Muscat form the Juniors category who competed against the Elite. Kurt finished the tour 15th place overall and in 8th position from the Maltese athletes. I take this opportunity to thank our Academy coach Rachel Darmanin for the sterling work she has done to prepare him for the tour. What's next .... a well-deserved break and let's start gearing up for the next two club races and the start of the National Championship. The launch of the 2016 Cycling Season kicked off with a mass start race on the Zebbug By Pass organised by Mosta AF Sign Studio Cycling Club and held under the auspices of the Malta Cycling Federation. The race attracted record number of participants, ninety-nine in all, spread across all eight categories. Strong participation was also registered by the Club�s Academy athletes who are being mentored and are considered to have a bright future in cycling. In the Under 12's categories, thirteen athletes from the Club�s Academy undertook one lap (4.5km) of the course. Matthew Galea Pirotta (Mosta AF Sign Studio CC) out ​sprinted fellow team mate Miguel Galea to the finish line whilst Tristan Aquilina came in third. It was another close finish for the girls� category when Kristina Spiteri (The Cyclist) pipped Justine Degiorgio (Mosta AF Sign Studio CC) to first place by just two seconds. Mosta AF Sign Studio �s Hannah Dandria came in third place. The Under 15�s Boys podium was dominated by the Mosta club�s cadets after having completed three laps (13.5km) of the course. Gianluca Camilleri emerged the winner following an extremely close finish with James Galea. Nikol Micallef came in third place. There was a tense fight to the finish in the Masters 40+ category when Patrick Scicluna (Mosta AF Sign Studio CC) clinched first place after a hotly contested race with Michael Camilleri (Team Greens) and Ivan Zammit (Birkirkara St. Joseph SC). Zammit had to settle for third place, coming in one second after Camilleri. In the Masters 60+ category it was an uncontested solo ride for Emanuel Camilleri who completed the 10 lap course in a respectable time of 1:09'55, whilst in the Masters 50+ Michael Lia (Mosta AF Sign Studio CC) comfortably took first place followed Gejtu Catania (The Cyclist) in second place. In the Ladies� division, there was no contest since participants formed part of the National Cycling team who are currently training for their forthcoming international commitments in Israel in March. The team took the opportunity to use this race as training session on closed roads. In the Juniors category, current National Junior Road Champion Kurt Muscat (Mosta AF Sign Studio CC) continued to show his prowess by edging away from his adversaries Nicholas Attard Montaldo (The Cyclist CC) and Brandon Sultana (Gozo Greyhounds) a 100 metres before the finishing line and sprinting solo to victory. A very strong pace made for a very exciting race from the very start of the 22 lap, 99 kilometre Elite course. With cyclists vying for an early breakaway in order to anticipate the group and avoid a sprint finish, it was however a very attentive pack of Mosta cyclists who counteracted well for attacks endured. Drama unfolded two hundred metres away from the finish line when cyclists, battling for a preferred cycling line, to bring their team leader to the finish line, came too close to each other causing a crash and which saw a number of cyclists fall to the ground resulting in a number of injuries. The split second commotion saw Mosta AF Sign Studio�s Pierre Borg emerge victorious by out sprinting ​current National Champion Maurice Formosa (The Cyclist) and Steve Sciberras (Agones SFC) to the finish line and completing the 99 kilometre course in a time of 2hrs 40mins. �Our thoughts, first and foremost go to the injured athletes, and we take this opportunity to wish them a speedy recovery. Unfortunately, in highly contested races, such as what we had on Sunday, these accidents occur although thankfully they are few and far between�, commented Edward Enriquez, Mosta Cycling Club (MCC) General Secretary. �On a more positive note we are thrilled to see athletes from our Academy come out in full force and perform well, they are the future of our sport and we are doing our best to nurture these talents�. Mosta AF Sign Studio Cycling Club Committee is grateful to all participants, coaches, marshals, race officials, time keepers, Zebbuġ Local Council, Malta Cycling Federation, Qormi Police Station, Malta Traffic Police, Transport Malta and the Emergency First Response Team who provided medical services for their assistance in the organization of this race. Wayne Spiteri started his career as a leading Triathlon athlete, winning the Sprint Distance Triathlon Championship in 2013. He then shifted focus to cycling � his preferred discipline, and in 2014, he placed 2nd in the local Time Trial Championships. 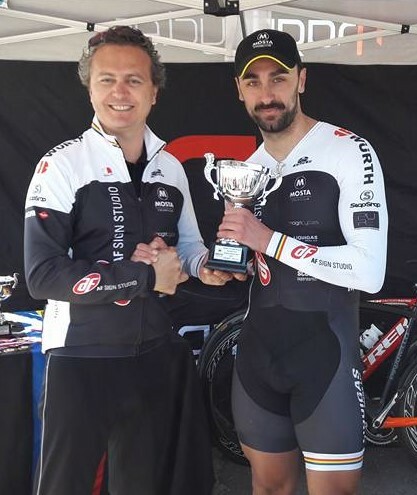 During last year�s Championship held by the Malta Cycling Federation, Wayne won the Time-Trial title and also finished 5th overall in the Mass Start Race championships. Spiteri also represented Malta in the Kosovo Tour a few months ago. Edward Enriquez, Mosta Cycling Club (MCC) General Secretary, said in comments to the media, that Wayne will be yet another key person in the Team and will also act as inspiration to the young and fast growing MCC Academy athletes. The Academy is the only of the sort in Malta � having young athletes trained by qualified coaches. Today MCC Academy has around 60 members, aged between 7 and 18 � actively taking part in local races - some of which have also raced overseas in International races. �We are certain that our young athletes will be proud to have a National Champion forming part of their club, and that will certainly entice and encourage our youngsters to put more effort into cycling with the aim of becoming they themselves champions one day�. Mr Enriquez added that the MCC committee is working hard to see the club competing in all local competitions once again this year, and the aim being to retain the Best Overall Club performance in our National Championships (this year won once again by MCC), as well as to win as many a category as possible. MCC will once again this year be looking for further success in other local competitions, such as the Tour of Malta. 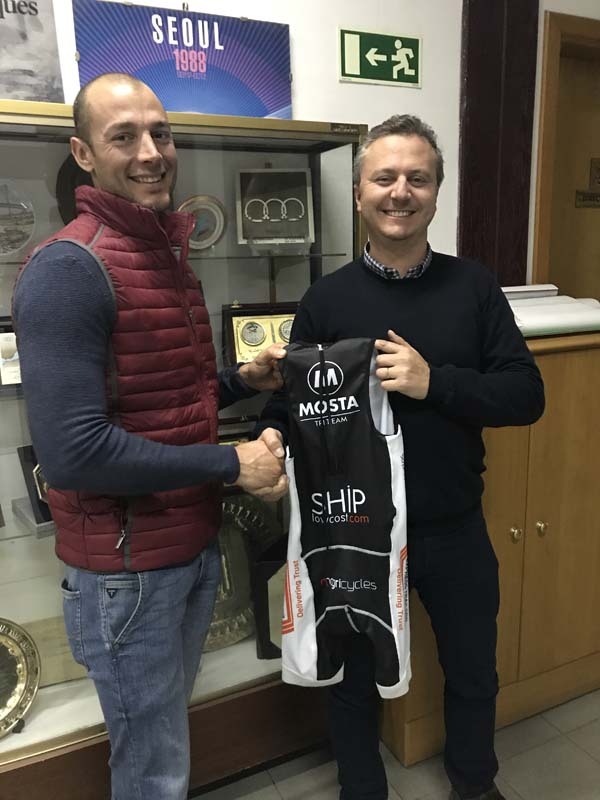 ​Last year Mosta made another great acquisition � Patrick Scicluna, a cyclist with lots of love for the sport and passion. Scicluna has a long history in the local cycling scene � with a lot of experience both locally and internationally. In last year�s Tour ta� Malta, Patrick wore the Red Jersey (leader) in the Master�s category after winning the first stage, and taking the second overall title in the same category at the end of the 4-day Tour. MCC also provides the opportunity for its athletes to�compete overseas. The club is targeting participation in various overseas competitions and races � both for the seasoned athletes and the Academy members alike � the latter having, for two consecutive years, participated in the Errigal Tour of Ireland, where the best British athletes are present. For the second consecutive year, Mosta AF Sign Studio Cycling Club made the dream of two young athletes possible because it is a firm believer that hard work, dedication and commitment are not just the sporting attributes of pro athletes but of also those of young aspiring Maltese cyclists. Accompanied by Coach Cedric Galea Pirotta, Mosta Cycling Academy athletes Monica Cutajar, who also forms part of the Malta Olympic Committee Youth Elite Scheme and 10 year old Matthew Galea Pirotta, were given the opportunity to train for and race in one of the top ranking Youth Tours: Errigal International Youth Tour, Â Ireland.Â This extremely formative experience saw Monica race in the Under-14s category and Matthew in the Under-12s category respectively with both riders cycling alongside the cream of Irish talent and the best from the whole of the British Isles. This year South Africa, Monaco, Spain accompanied Malta on the start line. The four stage event was spread across three days - with Stage 3 of the event being the hardest, having the riders battle their way up a Category One climb that formed part of the circuit. Endorsed by Cycling Ireland and Cycling Ulster, team members are hand-picked for the event with over 220 young riders taking part in this year's event. "The level in such races is very high and I am very glad I had the opportunity to race with such high-profile cyclists. This experience showed me the dedication that teenagers my age, have for the sport. I had lots of support from my club, coaches and even the organisers who gave me lots of courage throughout. I really enjoyed riding on different terrains, climate and scenery." said Monica. "I worked hard for this throughout the year, winning most of the local races in my category. It was not easy to continue to train during exams and in the soaring summer heat but this helped me believe more in myself and accept this tough challenge. I would like to thank Mosta Cycling Club and my coaches for giving me this opportunity. I eagerly look forward for more challenging cycling events overseas" said Matthew. "Our Cycling Academy is run by qualified coaches and assisted by a number of volunteers who dedicate their personal time to helping athletes of different ages and abilities reach their full physical potential. 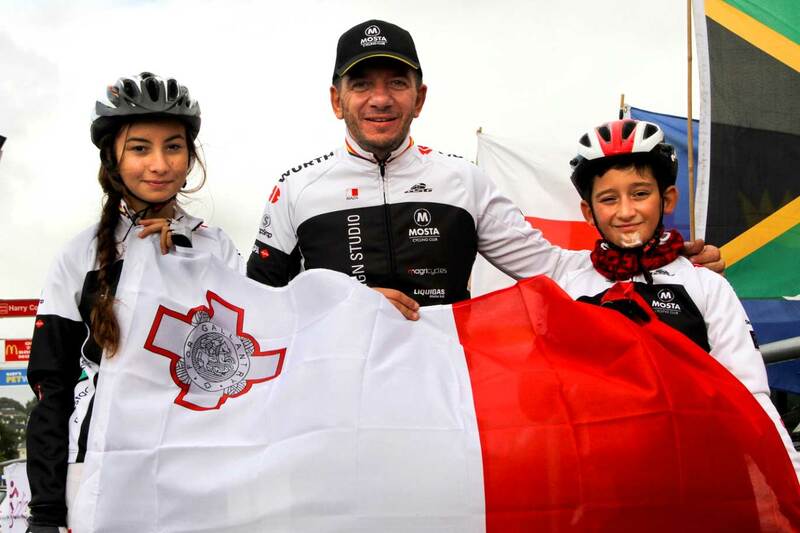 One must also mention the support Malta Cycling Federation and the Malta Olympic Committee have directed towards Mosta Cycling Academy's endeavours," said Mosta AF Sign Studio Cycling Club Secretary Edward Enriquez. "This is very positive and this close collaboration contributes towards the growth of the sport of cycling in Malta. It is our objective to keep working hard to support athletes who wish to proudly represent Malta overseas and compete in the cycling arena." Mosta AF Cycling Studio is a non-profit making Cycling Club with a fully fledged Cycling Academy run by qualified dedicated coaches. Further info may be obtained by contacting Club Secretary Edward Enriquez on 99443080. Mosta Cycling Club earlier this month organised their annual road race, a favourite among local riders. The race, the third club event this season, was held on the Żebbuġ by-pass where the lap distance is around 4.5km. The roads were closed for traffic to ensure the riders' safety. Different categories complete different lap counts. The Under-12s, a group of young, aspiring and committed cyclists, set the ball rolling, completing one lap. A large number of cyclists from all local clubs took part in various age categories. As the course doesn't feature tough hills, the pace was fast with team technique and strategy playing a vital role. 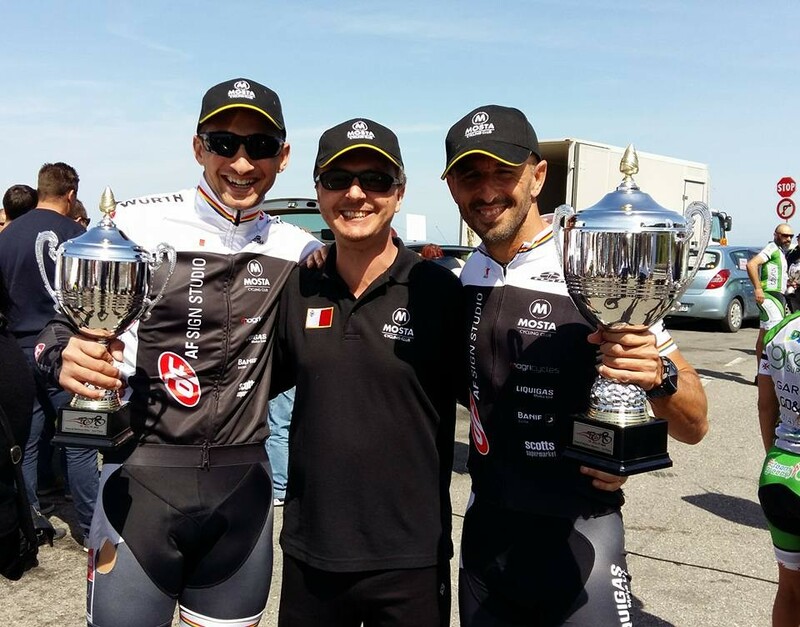 The Cyclist team members helped their top rider, Maurice Formosa, to post the fastest time. He was followed in second place by team-mate William Hili. A very tight sprint was fought out between Birkirkara SJ's Steve Sciberras and Agones SC Mark Bonnici, the former managing to take third place in a photo-finish. The female riders also maintained a steady pace, keeping up with the peloton for most of the race. BSJ's Michelle Vella Wood secured the top place on the podium from The Cyclist's Hannah Pace. Steph Alden , Pace's team-mate, finished in third place. The winners in the various categories were Kurt Muscat (Mosta Cycling Club) in the Juniors, Joe Bonello (Team Greens) in the Over-40 category, Jude Zammit (Agones SC) in the O-50s, Isaac Spiteri (Agones SC) in the U-15 boys' category, and Monica Cutajar (Mosta CC) in the U-15 girls' category. In a statement, Mosta Cycling Club thanked the Żebbuġ Local Council, Transport Malta, the Traffic Police Section, Qormi Police Station, Ambulance crew, Malta Cycling Federation, all the cycling clubs, and the sponsors for their assistance in the organisation of this race. Mosta AF Sign Studio Cycling Club,under the auspices of the Malta Cycling Federation are organising the fourth club race of the season on the 15 th March 2015. Top local cyclists are expected to take part in this race in which the Elite have to tackle 22 laps (99 Km). The Loop, a closed circuit on the Zebbug By-Pass between the roundabout in front of St. Dorothy's School and the roundabout at the end of the By-Pass on Rabat road. The race route will be closed for traffio between 7:30 am and 11:30am.  Mosta Cycling Club has launched a new website following the rebranding excersise of the club. A new domain has been aquired and mostacyclingclub.com is now active. We are proud to say that the new site gives us a new web presence, easier to use and more convinient for our visitors and members a like. We hope you like the new website as much as we do.